In this month’s OP Neil Aldridge shares his powerful wildlife pictures and reveals why highlighting conservation issues is so important to him; Dan Santillo on how to overcome the challenges of shooting astrophotography landscapes; plus winning pictures from Wildlife Photographer of the Year 2014. •	Pete Bridgwood keeps his creative sensibilities sharp on a trip to the beach while Norman McCloskey on why the landscape inspires him. 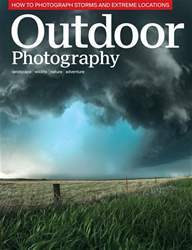 •	Dominic Hames reveals what it’s like to be married to an outdoor photographer and Paul Harris on why he photographs people’s hands. 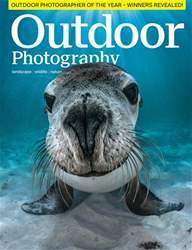 •	Laurie Campbell on keeping an open mind when photographing nature and Luke Massey recounts an unforgettable encounter with a rare African mammal. 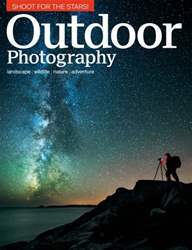 • Andy Luck tests the Nikon D810 DSLR and our extended list of the latest kit for outdoor photographers – plus your chance to win some of the products! 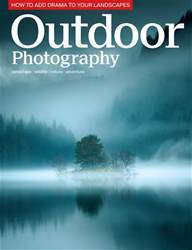 •	We also have 10 top UK locations for you; plus news, reviews and forthcoming outdoor related events.